1. Determine the scope of your project. Bathroom remodeling projects can range from a minor update, such as a change of fixtures and countertop in a half bath, to building an addition for a luxury master bath spa. To determine the scope of your project, it’s a good idea to begin by establishing priorities and determining your “needs” vs. “wants” for the project. Our free “Homeowner’s Guide to Bathroom Remodeling” will walk you through these steps and includes a handy checklist. 2. Find the right contractor. Hiring a contractor is the single most important decision you will make in planning your bathroom remodeling project. Check websites of local contractors. Review credentials and look at photos of their work. The National Association of Home Builders advises consumers to be cautious of unusually low bids. Look for a fair price. Don’t automatically accept the lowest bid. It maybe unrealistic or the contractor may be seeking an advantage over competitors that may later result in unexpected costs. Make sure you can get along with the contractor. Consider reputation, reliability, ability to communicate and willingness to stand behind the work. 3. Consider hiring a bathroom design professional. One key question to consider is: can the project accomplish your objectives within the current layout of your bathroom or will you require a new floor plan? If the project is a major investment or will require major changes in the existing space or adding new space, an experienced professional bath designer can help determine logistics, suggest materials and products, and create a functional design that incorporates your personal style and budget. 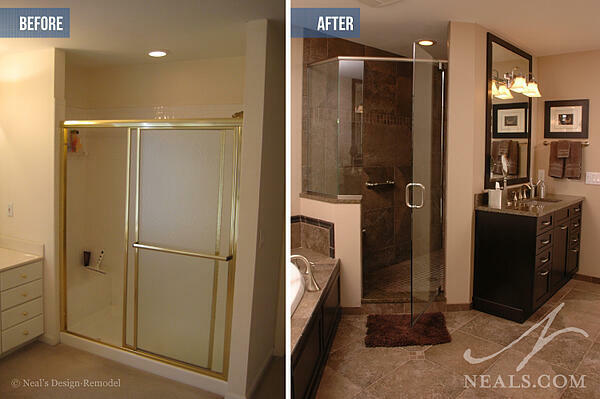 Design/build firms, such as Neal’s, make the process simple by having bathroom design professionals on staff. Since bathrooms are “personal spaces”, a designer’s knowledge of trends, products, space saving and storage options, and experience with tile layouts and patterns, can help you achieve exactly what you are looking for within the budget you have set. 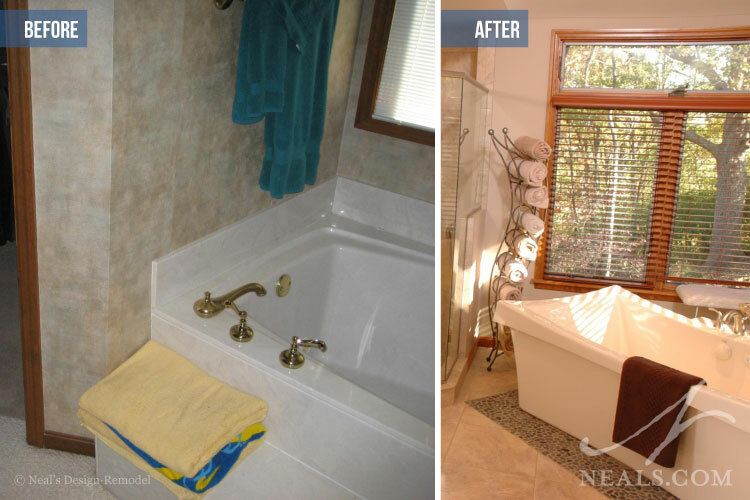 We have been remodeling bathrooms for more than 40 years. As a design/build firm we offer both construction and design services. We invite you to visit our showroom, attend a free bath remodel planning seminar or set up an appointment for a complimentary initial in-home consultation to begin planning your project. Our bathroom planning guide and blog articles provide helpful information to make your project a success. 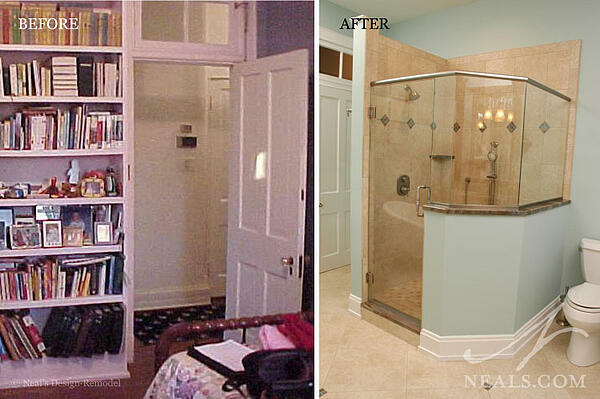 Check out our photo gallery of bathroom projects for more design ideas for own your home.